Who doesn’t have problems? I hear from contractors every day that they spend the majority of their time putting out fires. Wouldn’t it be nice if problems solved themselves? Is that even possible? I do know that for problems to solve themselves takes a culture of innovation, which essentially means the TEAM solves the problems. Let’s examine what innovation really means. For innovation to truly become part of your business means it starts at the bottom, not at the top. Yes, leadership drives this concept, but it is really the people who are responsible for its success. It takes creativity, an atmosphere of trust, freedom to express yourself and a lack of fear on what happens if you do speak up. It also means a focus on finding solutions instead of finding fault. Creativity should be encouraged throughout the company instead of rigid “that’s the way we always have done it.” The closest people to the problem are intimately involved and often see problems that management does not and will recognize what needs to be changed. Asking “WHY” is another good practice to use throughout the company. Why did this happen? Usually the “why” is a multiple layer before you actually drill down to the real reason, so don’t stop at the surface. Following this question technique to explore the cause and effect relationships within a problem will lead you to the root cause. Toyota used the 5 Why process to develop quality control and problem-solving training within their manufacturing process. By repeating “why” five times the nature of the problem and the solution became clear. The premise of this approach is that the last answer will point to a particular process, or lack of a process. No process or practice is perfect; therefore everyone in the company should be constantly evaluating and examining how things can be done better. After all, that is the path that will lead you to quality control and the ability to truly “WOW” your customers. 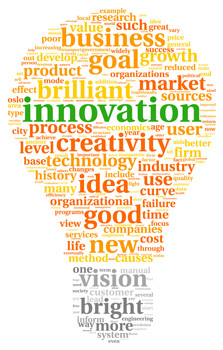 Your company can realize tremendous benefits by allowing everyone the freedom and forum to generate innovative ideas. No ideas are bad ideas, so people must feel genuinely free to express their thoughts and contribute input. I also indicated that the company focus should be on solutions, not problems. If you focus on the problems too much, you may turn into an expert on “what’s wrong” without ever really seeing the solution. Instead a focus on “what’s right” often brings innovative solutions to the surface. PROBLEM EXAMPLE: Joe had 5 callbacks during the month and Jim had none. A focus on what’s wrong: The Service Manager calls Joe in to the office to drill him on having so many callbacks. The knowledge gained from what Jim did right is used to recognize Jim’s contribution, train and mentor Joe and the rest of the team and probably update procedures that Jim was following and Joe did not know to follow. The atmosphere is not one of fear, but one of recognition, coaching and encouragement. Problem solved. Now, let’s explore using the 5 Why Question Technique on the same problem. The Service Manager calls Joe into the office and goes through the following set of questions. Why do you think you had so many callbacks this month? Joe: I just missed some things. Joe: I guess I just didn’t always follow the same process. Why did you not follow the same process? Joe: I did not have enough time. Why do you think you didn’t have enough time? Joe: I knew I had to hurry to get to the next call. Joe: I just had too many calls to complete every day. Ahhh, now the Service Manager knows the dispatcher is giving Joe too many calls to fully complete in one day. He needs to take a look at the time allotted for the type of calls Joe is getting callbacks on. He needs to make sure the dispatcher is not giving Joe the next call until the current one is completed and he needs to do some training on full diagnostic procedures. A problem becomes a coaching and training opportunity and a review of the processes. When the Service Manager starts to evaluate the process, he needs to involve the team in innovative brainstorming.